Avail Our Exclusive Discounts Now! and X-rays (Panoramic OPG X-ray and Bite Wing X-rays if necessary) for New Patients with Private Health Insurance. We also have a 52% discount offer to $150 for the same treatment plan for patients with no health insurance plans. CADCAM Emax crowns from $1,190 each. Discounts for multiple Crowns at discretion of our dentists. *5 years limited warranty key conditions: Patient has to retain their receipt and have twice a year routine 6 monthly dental check-up and cleans at any of our practices (Sydney CBD; North Sydney; Parramatta; Hornsby; North Ryde/Macquarie Park) during the warranty period. The warranty will cover for a free replacement of the same Dental Crown restoration if it failed due to mechanical failures only, such as de-bonds or fractures. The warranty however, does not extend to accident/trauma related failures, gum diseases, dental decays or a need for root canal therapy otherwise recommended by the treating dentist prior to the commencement of treatment. 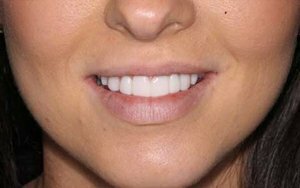 Pay upfront and get a 10% DISCOUNT: Composite Veneers at $495 each and Porcelain Veneers at $990 each. Click here to view details of this special –> Offer subject to change without notice. Conditions apply. In-chair teeth whitening, Now only $349 with our Hygienist. Pre-op: The patient has already an aesthetic smile. 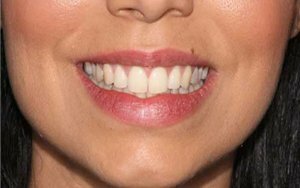 Her concerns were related to alignment and differences in colour of teeth, after already going through teeth whitening a few times. 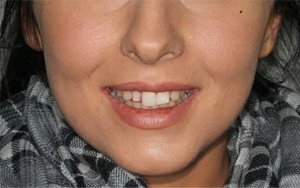 Pre-op: The patient has misaligned upper jaw, with missing teeth and mid-line shift, as well as discoloration of the side teeth. Call us today at Sydney CBD (8090 1105), Parramatta (8090 1109), North Sydney (8090 1108), Hornsby (8090 1100) or Macquarie Park/North Ryde (8090 1102). If we are unable to answer your call, please leave a message and we will respond to you within the next 1-2 business hours. Alternatively you can e-mail us at info@mysmilecosmeticdentistry.com.au,info@parramattadentist.sydney, info@sydneycbddentistry.com.au; info@northsydneydentistry.com.au; info@hornsbydentist.com.au or info@northrydedentistry.com.au.